Classic for the Bar-B-Que. Seriously, we never had a better steak than this! Remove the acid from the sirloin with a paper towel. Pierce the meat with a fork and apply the lemon-pepper. Melt the butter and stir in the remaining ingredients and pour over the meat. Marinate in the refrigerator for 4-5 hours, turning every hour. This “unwritten” recipe for Oxtail Stew is really just the “bones” of the dish, the basic instruction. The cook uses it as a start, then simply tastes and adjusts as he goes along. So feel free to take this instruction, and note of some of my italic adjustments I made today when preparing this stew; then make your own. ~But know, the next time you, or I, make it, it will be different! 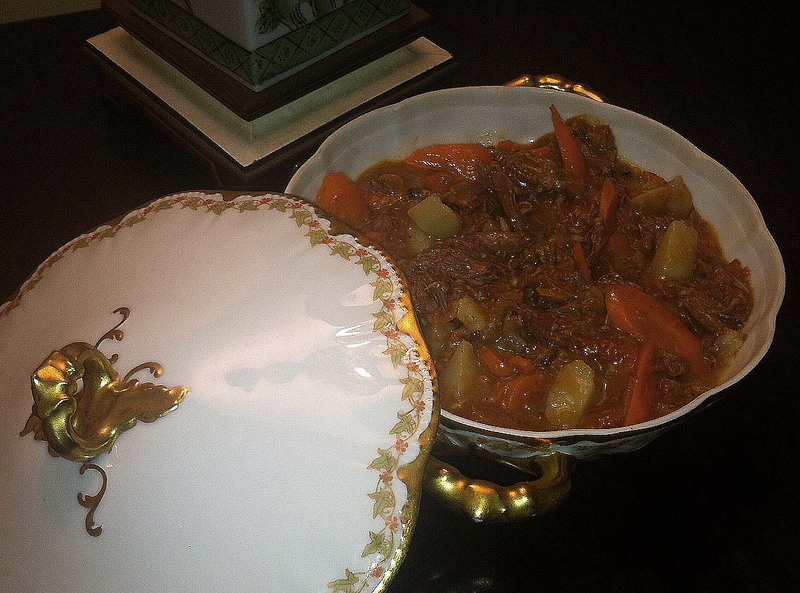 Anyway, I introduced this Stew to my hubby when we were dating, and swear, that introduction led to the 20 years of marital bliss we celebrate today! An old, traditional dish for a cold, windy Wednesday. This recipe is much, much older than the 1970’s, but our Polish Mom adopted this version then and still says it is one of the best. Mom’s recipe, as I remember it. My mother is a tremendous cook, but is ever improving and challenging her cooking. The dishes and appetizers she serves when entertaining rival any four-star restaurant; her guests are always floored. But, somehow, the things she prepared just for us, when we were kids, are the dishes loved the best. Keep in mind, this appetizer was popular in the ’60’s, ’70’s, and early ’80s, decades before the Buffalo wing craze. This wing is not crispy. It’s cooked in the marinade and chicken juices so that the flavor permeates the wing meat. *Insist on a crispy wing? Just tweak the recipe for today’s expectations, please see note following the recipe. An always tempting, simple recipe from mom’s clippings. 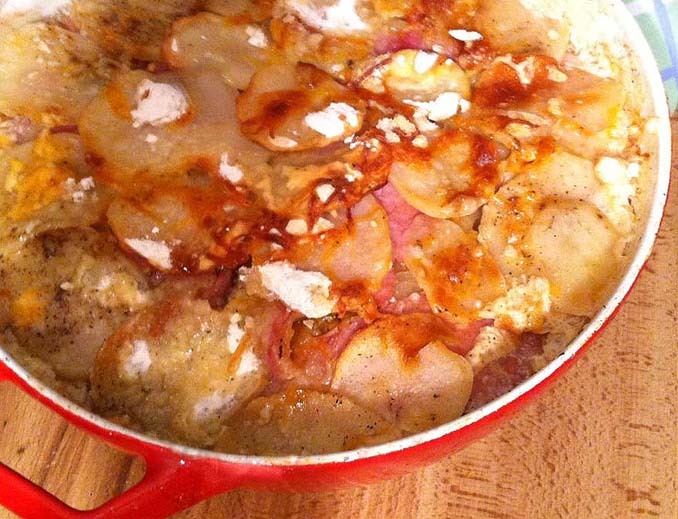 …While this is not the recipe she traditionally made, it is fast and easy. Still, feel free to add a bit of Worchestershire to the sauce, and one sliced onion and a clove of crushed garlic to the pot of ribs before cooking. Cut spareribs apart between each bone, or every other bone. Brown ribs in a heavy kettle, pouring off the fat as it accumulates. Mix dressing and catsup and add to coat ribs. Cover and cook over low heat, turning every 15 min., until tender, about 1 hour. Serves 6-8. Dreaming of summer bar-b-ques in the middle of winter as Super Bowl Sunday approaches. So, I thought today would also be a good day to post this brisket recipe from mom from the mid 1990s. It would star at any football party. This is a challenge. A retro 1970s lasagna, that includes delicious layers upon layers of mushrooms, Italian sausage, ground beef, cheese and pasta, but, oh my gosh, no instruction! Trumpeter Hill has re-created some instruction here, but recommends chefs feel free to adjust the quantities, and add their own spice (oregano, basil, garlic) to taste and as desired. Also, the recipe calls for cottage cheese, and that could be substituted with ricotta cheese. Trumpeter Hill posts the original recipe, but acknowledges there is a continuing debate over which is preferable: 1. Cottage cheese adds additional flavor, but leaves liquid in the lasagna. 2. Ricotta cheese provides a firm lasagna, and more appetizing appearance. Feel free to post your preference! Lasagna, Layered with Mushrooms, Italian Sausage and more! This is the authentic recipe for the original 1930s trefoils sold by the Girl Scouts. It is also the recipe used by the old Omar Baking Co. in Milwaukee, which was one of the first commercial suppliers of Girl Scout cookies. The recipe appeared in the Milwaukee Journal in 1993. A brunch recipe from mom’s dear friend. They had a lot of laughs together raising kids in the’70s. Mary is sure missed. Beat eggs, milk and salt until blended (do not over beat). Pour into large skillet, scramble, but not firm, eggs should still be wet. Add the rest of the ingredients, mix and pour in to a 13½” x 9″ or a 14″ x 10″ pan. Refrigerate overnight of at least 8 hours. One hour before baking, remove from refrigerator and let stand until it reaches room temperature. Bake at 250° F. for one hour. Add additional time if eggs are too soft in the middle, watch carefully. I snatched mom’s deviled eggs recipe over a quick phone conversation, and had just enough time to write down the ingredients. It is Gold! But this is yet another 40 or more year-old recipe where there is no recipe. And that means the ingredient amounts vary with the number of eggs boiled. The rest of the ingredients are combined to just highlight – to devil – the egg yolk, not take it over. 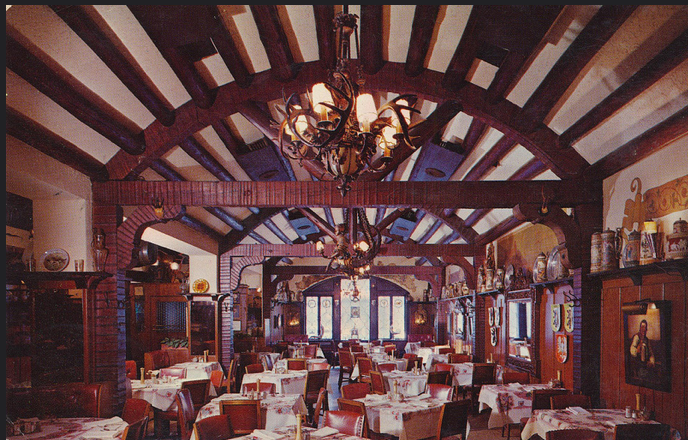 Karl Ratzsch’s is an old world landmark in Milwaukee and has been the epicenter of fine German food and dining for more than 100 years at 320 E. Mason Street. The history and lore of the restaurant is detailed on Karl Ratzsch’s site:http://karlratzsch.com/history.html.